I am a senior lecturer on the BA (Hons) Education Studies programme. I am also a Stage 1 tutor, and lead the TESOL pathway of the programme. I teach at all stages of the programme and am Module Leader for The Sociology of Education, Linguistics for TESOL, Learning in Higher Education, Education in Context, the Philosophy of Education, and Principles & Practices of TESOL 2. I am particularly interested in language in all its aspects: how it works, how we use it, how it is changing in today's world, and how we teach it in different contexts. As a corollary of this, I follow with interest debates around globalisation, including the globalisation of education and of language skills. I am interested in the changing face of language and language education around the world, and the experiences of children who speak English as an Additional Language in school in the UK. My current research is into the school life of teenagers who arrive later in the school system to live in the UK, and the reasons why some of these pupils don't achieve as highly in Key Stage 4 as other students. 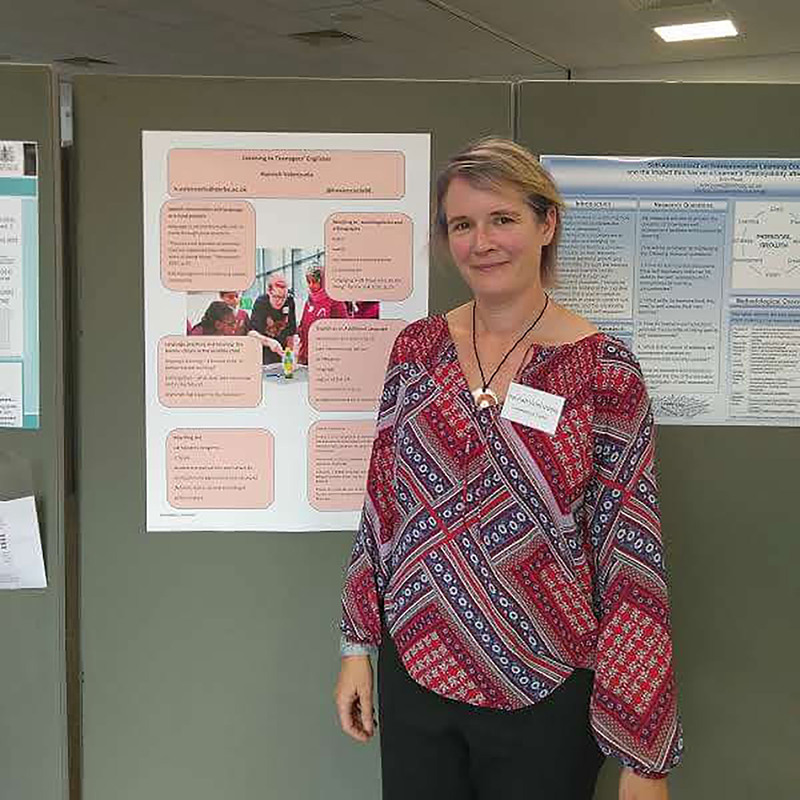 At the TEAN conference at Aston University in 2018 I presented the results of a research project into Evidence-based teaching and Communicative Language Teaching. I also presented my current research in poster form at EMDoc conference at Bishop Grossteste University. For twelve years I worked in TESOL, as a teacher and teacher trainer, in a variety of international contexts. During this time, I taught classes to adults and young learners, business English, and one-to-one specialist classes. I also developed and facilitated teacher training sessions and courses on methodology, as well as language skills. In 2008, I moved back to England and began working as an MFL teacher in an inner-city secondary school. During this time, I taught languages to young people aged 11-18, as well as primary children through outreach programmes. I developed the Spanish curriculum within the schools and mentored trainee teachers. In addition, as a Specialist Leader of Education I facilitated external teacher training courses. I am currently writing "Linguistics for TESOL", a book for Palgrave Macmillan.